It takes courage to be a poet, although not the kind of courage needed on literal fields of battle. For two years (2008–10), Suzanne Steele was Canada’s “war poet,” the first official Canadian war artist poet to be embedded with a Canadian battlegroup — Task Force 3-09 (Afghanistan) — and to go into the theatre of war. Steele accompanied the First Battalion Princess Patricia’s Canadian Light Infantry on their road to war, but also spent time with the “Van-doos” and many other regiments during her tenure. 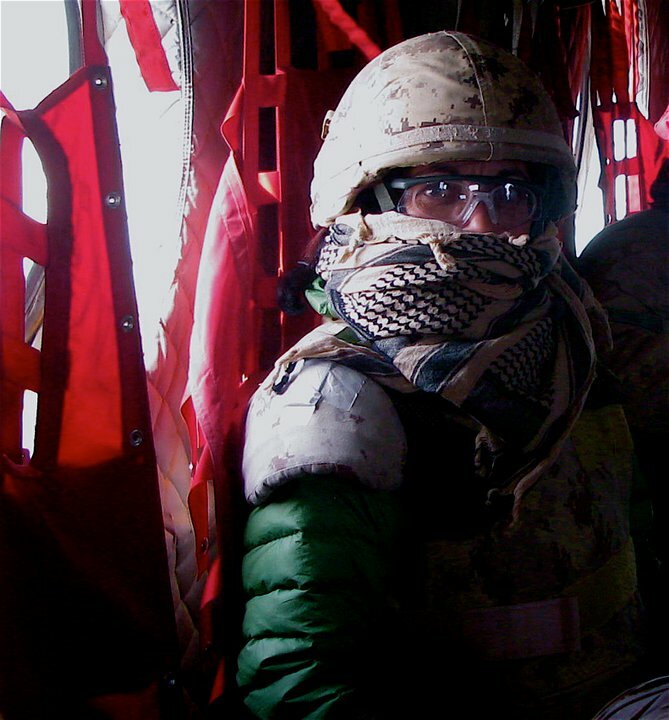 How did you approach your role as the Canadian Armed Forces’ first official war poet? What I did was quite different from what many other war artists had done. I was interested in the experience before and after combat. I wanted to see the arc of a soldier’s experience. Everyone wants to know about the time in Afghanistan. But I was in more danger in live fire exercises in Canada than in the one rocket attack I experienced in Afghanistan. For many soldiers, the danger is in the exercises, when they are learning to be soldiers. How did you manage the balance between a poet’s need to find her voice and your assignment as an official war poet? I think a lot of poets, and artists generally, learn that the biggest challenge is to get out of the way of the work. Perhaps that’s also what my editing and my poetry have in common. I am a listener. I listen for what needs to be told. Early in the project, a young soldier said to me “We’re so excited that you’re going to be here to speak for us. To speak about the things we can’t speak of.” Another fellow, a major who worked in mental health, asked me “Who the hell are you to speak for us?” He was fiercely protective of the trauma of those who had been to Afghanistan. Ultimately, I was not there to speak for anyone. I received about 10,000 messages from soldiers and their families, and eventually some 350,000 readers, internationally, responded to the work. My work was about the war experience for Canadians, but it was also about my perception of who they are and what they experienced, and my experience of war from the artist’s point of view To get to that place, I went on training exercises at CFB Shilo, Suffield and Wainwright, became sick along with them, slept beside them in pup tents, spent days with them tinned up in armoured vehicles, and respected them. Most of all I listened to them. Once they knew I was not a journalist they were at ease with me. My website helped with this immensely as I knew that if they could read what I was up to they would know I wasn’t out to judge them. How do you get out of your own way as a writer? I don’t write for publication. It’s nice to be published. But I don’t worry about what people think. In some ways it was an advantage not to have the luxury of time to revise. The need to capture the experience as it was happening put me more in the Bardic tradition. My work had to be immediate, not intellectual, not overworked or reworked. My project with the army, captured on the War Poet website, has been published widely. I also wrote a war requiem, Afghanistan: Requiem for a Generation (2012), with composer Jeffrey Ryan. During the time I was serving, a very good Scottish poet told me I shouldn’t wait for the three or four years it takes to get a book published. In effect, he said you need to speak while the young ones are still going to war and dying. The young ones and the experienced ones (soldiers in their 40s and 50s) participated in the project as it unfolded. They were glad to see that I was there to understand what it meant for so many good Canadian men and women to be in Afghanistan (about 40,000 soldiers over a 10-year period). Because I had set up a website for the project, I could post seven or eight versions of something, allowing readers to see the process at work and to respond to it. I found it gratifying that readers were willing to look at my failures. I believe in failure. As editors, we know the power of recognizing our own mistakes (thank goodness for “stet”). What’s the value of failure for a writer? It’s navigation; it’s finding our way. Going up a wrong alley is never a mistake. There might be something interesting up there. Read Part 1: Dr. Suzanne M. Steele, scholar and editor. 4 Responses to "Interview with Dr. Suzanne M. Steele"
The interviews with Dr. Steele have been great…looking forward to Part 3. Had no idea there was such a thing as an official Canadian War Poet before. That’s just an astonishingly good idea. Makes one contemplate if there might not be other government departments that could use an embedded poet–police, fire, forestry, Canada Revenue. No, wait, I’m serious! It would channel more money to poets and it would capture a range of topics that have maybe been missed before. I like this idea, Robert. Poets are as necessary and useful as editors, teachers, soldiers, fire fighters, accountants, visual artists, and … . thanks RR, I’ve been musing on first responders and how profound it would be to be embedded in downtown Vancouver with them, esp. during this opioid crisis. They are dealing with a type of war zone far more deadly than what I saw, and they are suffering in the same way as the young soldiers. And while I’ve been thinking of this, I honestly do not think I could cope with this type of work again. The personal price is very, very high. Wow, Suzanne just continues to amaze me!